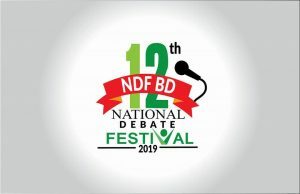 It’s our great pleasure to inform you that National Debate Federation Bangladesh (NDF BD), the pioneer organization in carrying the torch of debate to the grass root level of Bangladesh, is going to organize “12th NDF BD National Debate Festival 2019” on March 29 & 30, 2019 (Friday and Saturday) at Bangladesh Shishu Academy, Dhaka. With the grand participation of about 2000 debaters from different Schools, Colleges, Medical Colleges, Madrasas & Universities from all over the country, this festival is going to be the most colorful event of debate throughout the country. It will be a great opportunity for the young people to share their opinion and learn experience in these two days long festival composed of different events, such as Show Debate of various formats, Debate and Career Workshop, Public Speaking Competition (both English & Bengali), Quiz competition, Meet the Celebrities, Rally, Certificate distribution, Prize giving Ceremony, Campfire, Multimedia Presentation and Cultural Program performed by debaters from different institutions. Our Honorable Education Minister Dr. Dipu Moni, U.S Ambassador Earl R. Miller, Shykh Seraj Ekushey Padak Awardee and Director of News, Channel I, The First ever Woman Editor of The Daily Ittefaq Tasmima Hossain, will grace the program. We believe, this event will be a milestone in the debating arena where debaters from all over the country will get together. We would really appreciate if you could kindly send participants from your respective institution. Your cordial presence will highly encourage us. Let’s feel the beauty of logic & work together for a better tomorrow. To join the festival, Debaters will have to fill up the Festival Registration Form (Photocopy allowed) properly with the due permission from the institutional authority. The limited number of participants will be allowed for the festival. Participants having Festival Pre-Registration ID will get priority for the main registration. Students Per person 600 – Dhaka Breakfast, Lunch, and Dinner for 2 days, Certificate, Festival T-shirt, Cap, Bag, Pad, Pen, Souvenir, Festival Poster etc. Participants can also submit their Writing (relevant to the debate, lifestyle, motivation or career etc.) for Festival Souveniratshernnk@gmail.com by 10 March 2019. After review by the publication authority, selected writings will be published in the souvenir. Everyone will have to carry the gift& food coupon; otherwise, s/he will not get food or gift items. Morning 8.00 am : Reporting, ID card, Gift Items & Food Coupon Distribution. Morning 8.30 am : Breakfast. Morning 9.00 am : Hosting National Flag and National Anthem. Morning 9.30 am : Grand Rally. Morning 10.30am : Opening Ceremony and NDF-BD Life Time Achievement Award. Evening 07.00 pm : Cultural Show Performed by Participants, Organizers & Guests. Evening 08.00 pm : Camp Fire and Dinner. Morning 11.30am : NationalQuiz Competition (Final Round). Afternoon 02.00pm : Meet the Celebrities. Mostofa Sarwar Farooqui, film director, producer and screenwriter. 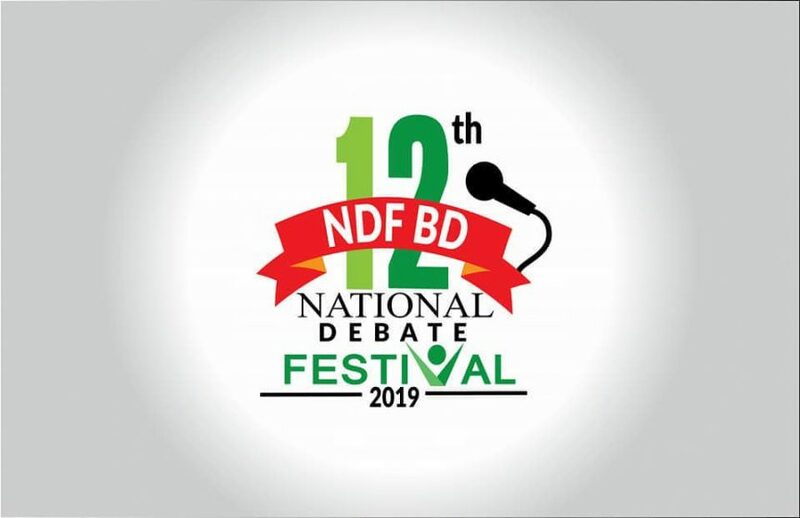 Afternoon03.00 pm : NDF BD National College Debate Championship (Final Round). Afternoon 4.30 pm : Closing Ceremony. Evening 05.30 pm : NDF BD Cultural Show. Sherpur Md. MahfuzulHasanDistrict Co-ordinator, Sherpur. Rayhan Islam, DinajpurZilla School Debating Club. Pabna Mrs. ShamsunnaharBanna, Assistant Professor, City College, Convener, Pabna Debating Club.